Sourcing Images Online - What are the Options? Sourcing Images Online – What are the Options? Many people like to use images when creating content for their websites, blogs or social media pages. If you are sourcing images online, it is essential to make sure that you are abiding to copyright laws and are not just taking other peoples’ images, without their permission. In order to make sure that you are sourcing images ethically, you need to have a good understanding of the different types of image licenses available online. In this article we will provide an in-depth explanation of the various image options available. The Creative Commons license allows you to use images free, providing that you abide to the conditions and attribute the owner. Websites like Flickr and Wikimedia Commons distribute many of their images under the Creative Commons license. 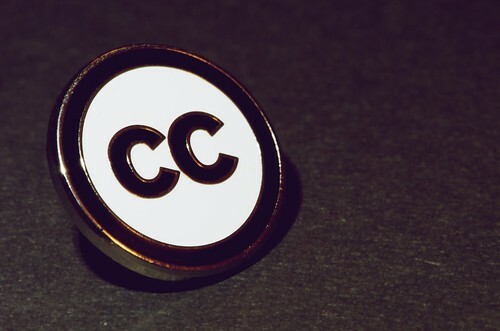 The Creative Commons license allows you to share, copy, distribute images and use them commercially providing that you attribute the work and refrain from altering it. 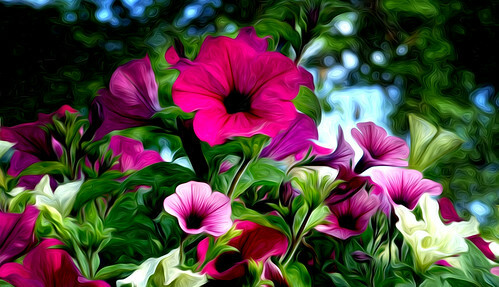 An attribution is usually given in the form of a named link to the owner’s Flickr page or website. On Flickr many people comment underneath Creative Commons images to let the owner know where the image has been used so they can see that is has been attributed correctly. In some cases owners will allow other users to edit their images. If this is the case it will be stated under their Creative Commons license which is available to view before you save an image to your computer. Some Creative Commons conditions can be waived, but permission from the copyright holder, must first be obtained. Whereas Creative Commons’ images are free to use, royalty free images require payment. However it is worth keeping in mind that you only have to pay once and then you can use the image as many times as you like. Stock images distributed under the royalty free license are non-exclusive. This means that there is no limit to the number of people who can pay for the license. Royalty free images are usually multiple-use, meaning that they can be used across various mediums under the same license. There is not usually a limit to the number of uses or the time in which an image can be used. If you would like to source royalty free images for your website, there are a number of different websites you can visit, one example is Image Source which has an extensive library of royalty free images. You will usually have to sign up for a free account in order to download the images. The pay per use license is pretty self-explanatory. You simply pay a fee every time you use an image and are only licensed to use it once. For example you may need an image for a poster to advertise your event. Under the pay per use license you will only be able to print the image onto one poster. If you want to print it multiple times, you will have to pay for each use. It is often better to choose royalty free images as you are only required to pay the license fee once and are then able to use the image as much as you want to. If you want to use stock images multiple times, make sure they are distributed under the royalty free license. Understanding the different types of image licenses is essential, as it will prevent you from getting yourself into trouble for breaching copyright laws. Before you download an image online, make sure that you have read the license that comes with it. If it does not appear to have one, then get in touch with the webmaster to ask for permission to use their image. If you are looking for free images then websites that distribute under the Creative Commons license are your best choice. However if you do not mind paying a small fee to use images, we highly recommend visiting a stock image website that distributes images under the royalty free license.